We love visiting the Jersey Shore and one of our favorite places to visit happens to be Wildwood. In my honest opinion, the boardwalk in Wildwood is the BEST that the Jersey Shore has to offer. That is saying a lot because we've been to the majority of the coastal towns and boardwalks up and down the New Jersey coast. 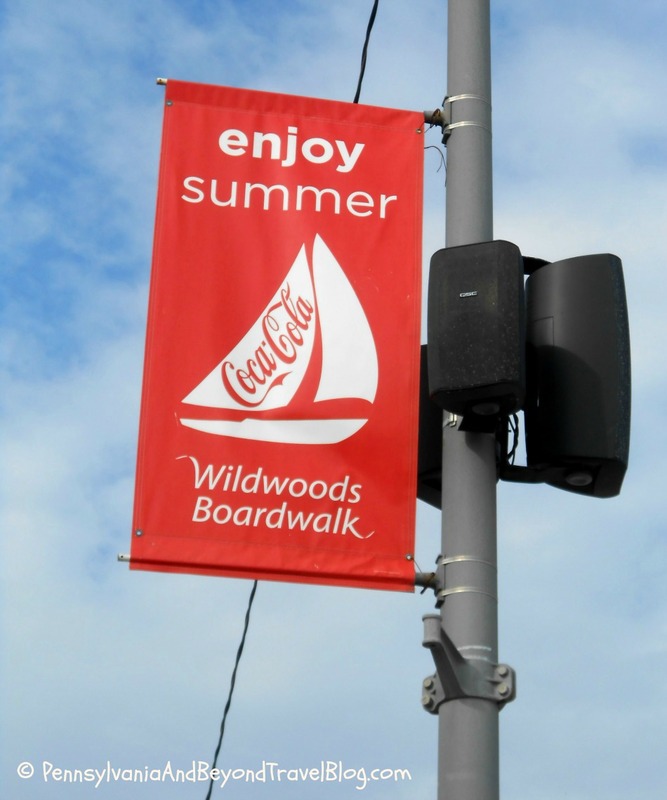 The boardwalk starts in North Wildwood, runs through Wildwood and finishes up at the northern end of Wildwood Crest. The entire length of the boardwalk is 38 city blocks The boardwalk is long but if you are not up for walking...you can take a ride on the Sightseer Tram Car for $3.00 one way. The tram car runs seasonally and weather permitting. During the early morning hours you can do some bike riding up on the boardwalk, jogging, walking, shopping and/or grab a hot breakfast. Most stores open around 9 AM but several open earlier (mostly the coffee shops, breakfast joints and bicycle rentals). Around 11 AM the boardwalk starts to get busier thanks to all of the beach go-ers, shoppers and those who are starting to look for lunch. While it's not crowded at this time of the day, it's definitely a lot busier than the early morning hours. About 5 or 6 PM it really starts to get busy with those who are looking for a hot dinner and by those who are starting to shop. Around 7 PM...it's hopping! From 7 PM to 11 PM you will find thousands of people up and down the boardwalk doing shopping, playing arcade games, visiting Morey's Amusement Piers (fun rides) and all of the nightlife you would expect to find on a boardwalk during the prime time evening hours! At 11 PM the Wildwood Boardwalk starts clearing out and there is definitely lighter traffic. A lot of people are heading home or to their hotel rooms for the evening but some stores and amusement rides are still open for those who want some late evening fun. No matter what time of day you may be visiting...the Boardwalk in Wildwood New Jersey has something for everyone! It truly is one of the BEST boardwalks that the Jersey Shore has to offer. We love it there and we know you would love it there too!